Last spring, Heritage Minister Mélanie Joly launched a broad Cancon policy review, saying "everything was on the table" in how the federal government funds Canadian culture and media. After months of consultation and study, these are some of her key recommendations. 1) No new taxes on streaming services or Internet service providers, but a five-year, $500-million planned investment by Netflix in Canadian content and distribution. 3) $125-million in new funding over five years for a Creative Export Strategy to boost the sales of CanCon around the world. 4) Keeping the Canada Periodical Fund as the main tool to help the news industry, starting with changes to eligibility criteria that are currently based on subscription numbers. The fund could be broadened to “better support innovation, business development, start-ups and export,” although there will be no bailout for non-viable business models. 5) Refreshing the CBC’s mandate with the new senior executive team to be appointed next year. 6) Adapting the eligibility criteria for the Canada Music Fund and the Canada Book Fund by 2020. 8) Reviewing the Broadcasting Act, Telecommunications Act and Copyright Act, and modernizing the Copyright Board of Canada. 9) Creating a new Creative Industries Council, chaired by the ministers of Heritage and Innovation, to foster growth in cultural industries. 10) Seeking “commitments and agreements” with large Internet-based companies to invest in Canada, including convincing Facebook and Google to help the news industry. The global streaming giant has agreed to a five year deal with the federal government in which they will spend up to $500-million on developing and distributing Canadian television shows and movies. 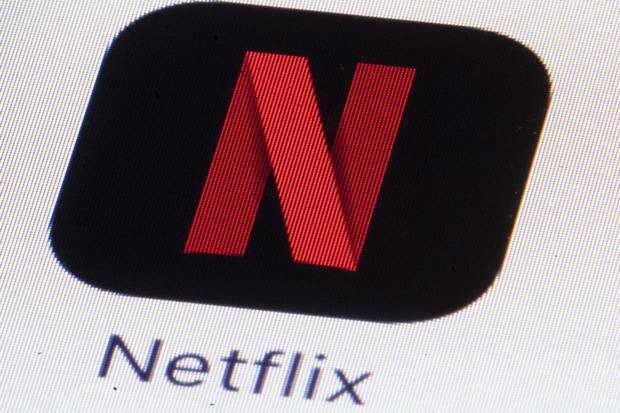 A "Netflix tax," which would have been levied upon digital media producers and Internet service providers, had been discussed previously as a potential source of revenue to fund more and higher quality Canadian content. Liberal and NDP MPs on the House of Commons heritage committee proposed the idea but Prime Minister Justin Trudeau said in June that such a tax would not be included in Ms. Joly's plan, a pledge that has been upheld. Under the agreement Canadians will be able to more easily watch movies and television shows that are made in Canada. Additionally, Netflix will establish a production house in the country. We want them to participate in our goals to support the creation and discovery of Canadian content that showcases our talent, our cultures and our stories. I’m pushing for commitments that benefit our industries. With few concrete details announced about the Netflix deal – and no one from Netflix present at the announcement to explain the company's plans – political and industry reaction was mixed. This deal is like Netflix paying itself $500-million to produce content that it will sell for a profit. This is an unfair situation for Canadian companies. Are we allowing foreign multinational companies to basically set their own rules when we already have regulations in place for our broadcasters? It seems like the privates [commercial broadcasters] aren't interested in making Canadian content, they do so most reluctantly, and now we have a company saying, 'We want to work with Canadians.'... It's exactly what we needed. Our approach will not be to bail out industry models that are no longer viable. Rather, we will focus our efforts on supporting innovation, experimentation and transition to digital. The government says it is still open to changing the Canada Periodical Fund in 2018 but in the meantime it is relying on digital giants Google and Facebook to continue its partnerships with Canada's news industry. The Standing Committee on Canadian Heritage looked into a sustainable funding model for journalism earlier this year. In its report, which was released in June, several measures were recommended, including creating tax incentives and supporting local news producers. "My hope is that we don't get forgotten. Canadian cultural policy is a hugely broad area. Traditionally, news gathering wasn't put in the category of Canadian cultural content. But it is important," Bob Cox, publisher of The Winnipeg Free Press and chair of News Media Canada, said before the plan was unveiled. The plan put forth by Ms. Joly doesn't mention the Indigenous Languages Act, a piece of legislation that Mr. Trudeau had promised in 2016 that the government would introduce in the future. The 2017 federal budget reiterated the promise and introduced nearly $90-million in new funding over three years to help preserve and support Indigenous languages and culture. Although under Creative Canada the government said that it will continue to promote the use of French in Canadian society, the framework doesn't include any new Quebec-specific initiatives. The new framework calls for increased funding from the government in some areas and a revamp of how funding is decided for certain programs. The Canadian Media Fund, which has been facing a steep budget as Canadians cut the cord, is set to receive a cash injection that will stabilize its operations. Currently, the government contributes around $130-million to the CMF, which supports Canadian television and digital media producers. In 2018, Ottawa will cover the public-private partnership's revenue shortfall in addition to its annual contribution. $125-million will be spent over five years to promote Canadian content globally through the Creative Export Strategy. The initiative aims to help Canadian content producers find overseas markets. Part of the government's investments in Canadian culture that were announced in the 2017 federal budget will be allocated to develop creative hubs for prospective entrepreneurs. Although no additional funding was announced for either the Canada Book Fund or the Canada Music Fund, the government wants to modernize the eligibility criteria for both. Heritage Minister Melanie Joly poses for a portrait along the Ottawa River on April 19, 2016, in Gatineau, Quebec. An overhaul of Canada's framework for creative industries was not in the cards when Ms. Joly, a rookie minister from Quebec, assumed her role. Mr. Trudeau didn't include it in her mandate letter and it wasn't included in the Liberal Party's electoral platform during the 2015 federal election. Despite this, she launched a cultural policy review 18 months ago and said that "everything is on the table" at the time of the announcement. Policy governing Canadian culture – the government considers everything from movies and television to virtual reality under this umbrella – is wide-ranging and the broadcasting, media and cultural industries are worth around $50-billion. Changes this broad haven't been seen in more than a quarter-century. Cultural stakeholders had long complained that government programs to help creative industries lacked funding and weren't up to date with the digital and technological landscape. Kate Taylor: Mélanie Joly’s Netflix deal fails to address the real issues for Canadian content creators The deal, which coincides with a commitment not to tax online services, is merely political cover for Joly as she fails to resolve the central issue her review was supposed to address: how to update analog-era supports for Canadian creators so that they can thrive in the digital age. 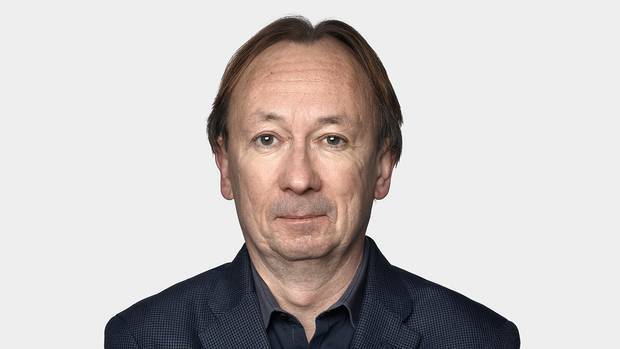 John Doyle: The Netflix deal is a very sweet deal for Netflix, not Canada It's peachy that some creatives involved in Canadian TV and movies will have their work seen around the world via Netflix, but that is nether new nor is it the rescue of Canadian TV that the government wants you to believe. Konrad Yakabuski: Joly barely moves the dial on cultural policy Mélanie Joly created unrealistic expectations in promising to take Canadian cultural policy in a “bold” new direction in the digital age, so no one should be surprised to see the grab-bag of measures the Minister of Canadian Heritage unveils on Thursday fall short of the hype.